The great thing about beautiful objects is that they only get better with age. So it is with a Certified Pre-Owned Porsche. Everything from the engine design to the crisp, clean body lines to the well-appointed interior is timeless. A pre-owned Porsche is your gateway to the world of superb, high-performance luxury cars. But only a Porsche Approved Certified Pre-Owned Vehicle has been inspected and tuned by Porsche factory-trained technicians to ensure it's ready to become a part of your daily life. Not all pre-owned vehicles are created equal. Not all of them were taken proper care of. But a Porsche is always a Porsche. 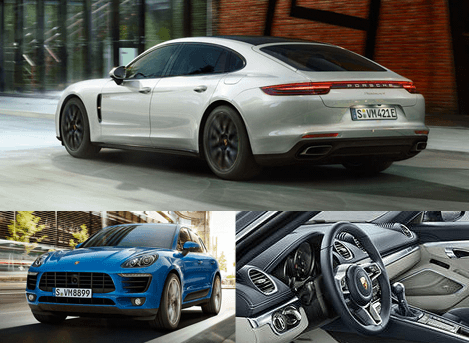 What is a Porsche Approved Certified Pre-Owned Vehicle? To earn the label "Porsche Approved," a used Porsche must pass a comprehensive, 111-point inspection that covers the entire car, with no detail left to chance. Then, we perform any necessary work to achieve our rigorous quality standards, using only genuine Porsche components and carried out by genuine Porsche service techs. Not all vehicles make the cut - we only allow Porsche vehicles with fewer than 100,000 miles on the odometer from the past eight model years to qualify. We accept nothing else. 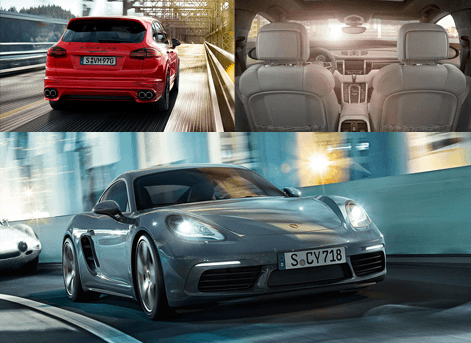 What Warranty Supports My Porsche Approved Certified Pre-Owned Vehicle? After passing our rigorous inspection, only then does a Porsche become Porsche Approved Certified. We stand behind these vehicles with a 2 Year / Unlimited Miles warranty. The warranty begins after the terms of the original, new car warranty expire, or at the date of sale if the original warranty has expired already. You can drive with confidence knowing that Porsche has your back, with two years of included roadside assistance. Your warranty is redeemable at any Porsche dealer - 100% of all parts and labor are covered with no deductible and no limit. Just the rare peace of mind that comes from owning something quality that won't let you down. And if it does, we promise to make it right - at no cost to you. When it's your time to own a new or manufacturer-approved, pre-owned Porsche, you just know. It calls out to you. And we trust that it calls to you Porsche Chandler, where our entire team is waiting to make a Porsche a part of your life. From the comfort of your chair, you can browse our entire new and pre-owned inventory of high-performance Porsche cars and SUVs. When you've found the right one - and you'll know it the moment you see it - just schedule a test drive online. We'll take you on what is sure to be the first of many pleasurable drives in an authentically beautiful Porsche machine.